Updated 5/2/18 after talking with 914 ZR-1. Things are a go and looking great! Read below, some stuff has changed. The current plan is to do Sat May 26, 9 am to probably 10-12. May 26 at Santa Clarita, near Magic Mountain. I am limiting class size to 13-15 participants. We will have a 3 car garage bay (plenty, trust me), can work on food, take out, what ever. $300/builder. Builders 18 and under are free. Only one transmission per builder. Spectators are free, and yes you can take notes, pics, and ask questions. Cost includes new stainless hardware for your build, rags, acetone or break cleaner for cleaning, gloves (I'll need sizes to get right qty), cleaning trays. To help cover the cost of the time off from my day job, travel, lodging, etc, I encourage you to buy parts from me whenever possible. I will have a stock of good used parts on hand, will show you how to determine when a part is not serviceable, and will show you have to save some $$ on a rebuild since you are doing the work yourself. I have moved away from using used bearings as I have lost confidence in them over the last few years. More are failing, and I never want one that I recommend to end up like that. As such, I have managed to secure all of the main input shaft and pinion bearings (4 total) for a deep discount (Retail currently about $1100). I will need orders and payment as promptly as possible to secure a set in the order I will have to make for this event. Contact me to get that ball rolling. I do not expect to have bearings available at the event other than those pre purchased. Also, discount only applies to students of the clinic, and for those whom I do rebuilds for (aka, I don't retail to the public). I will also have access to 1/R sliders (for you 5 speed boxes) for $300 (retail about $500). All special tools will be provided at the clinic. You will need nothing special: 19mm socket, 13mm socket, small hammer, small sledge. Tools to have if you have them handy would be some drifts/punches, deep 30mm socket, breaker bar, 32mm boxed end wrench, MAP or propane torch, seal drivers, wire brushes, cordless impact drivers, work bench/table (cheap plastic folding ones from Walmart and similar work just fine and accommodate up to 3 builders, but we have many 914 folks bringing tables as well), rags, break cleaner and or acetone. If you are willing to share your tools, that would be great and save me shipping heavy metal items that are rather common in most of our tool collections. Clean your case the best you can. You will be happier for it, our host will as well. Do not pressure wash it. You will get water in, it will cause rust. Bet me. Don't sand blast it...worse than water. 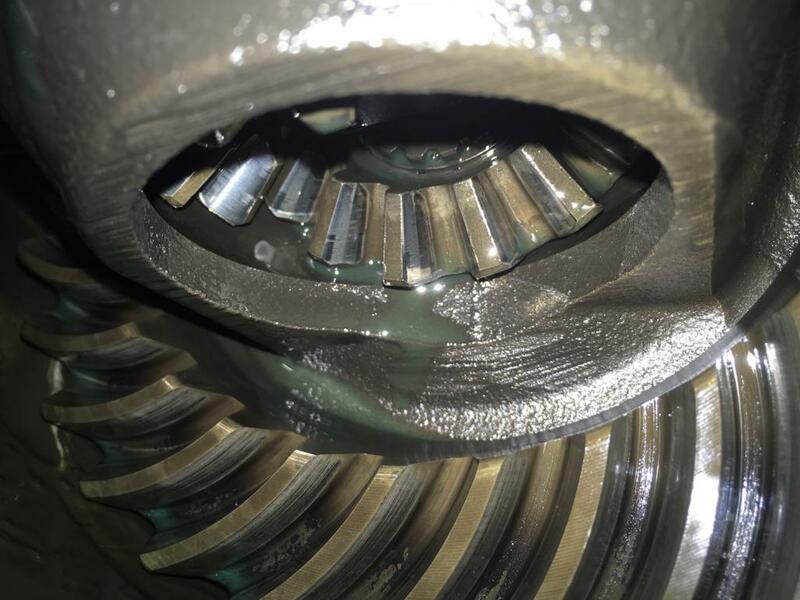 DO NOT take it completely apart as you will lose the setting for the ring and pinion and that will mean I will need to reset that stuff and that is not happening at the clinic. Setting r/p takes expensive tools, and lots of time and parts that are not conducive to a clinic setting. This is something I do at my home shop on customer rebuilds. 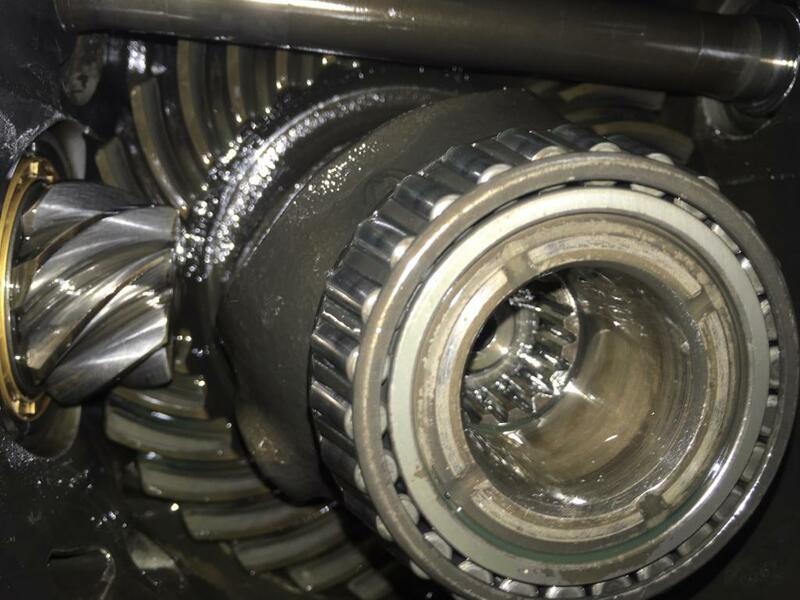 DO, please, take off the side cover and inspect your ring and pinion. 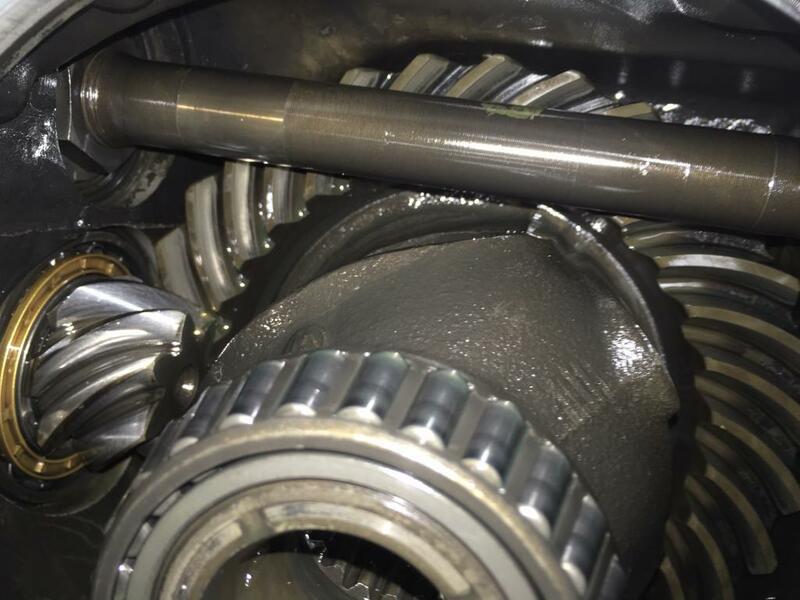 If these are roached, you will not be able to build this transmission at the clinic because changing the r/p requires the aforementioned special tools and time. If you are unsure of your pinion, take a pic and post it up for evaluation and so we can all learn something. Other than popping off the side cover and inspecting the r/p, and cleaning some of the schmutz off of the case, please be sure to drain it. Although, when you check the r/p you will drain it one way or another. Not expecting disposal facilities for oils on site. OK, I think that is everything, but if I get more questions I will update this post to answer it for everyone. I will also start an attendance roster in this post to keep things up to date. Check out my sig below for links to past clinics, or google search 914world to find even more threads. Already updated: Prep, and added some things you may want to bring, and what I plan to supply. I'm in on this clinic. In addition, Count me in on bringing three 3 six ft tables, a few chairs, 2 Ga of Acetone, Plenty of work gloves and plus lots of clean shop rags. Let me know if you're good with this. NICE! Love this place. The sense of community is what keeps us all here year after year (been almost 15 for me). Ill get a count on tables later on and see what we need and who is easiest. Kent, the pullers for the dog teeth are about all we would need. The alignment jig is easier and lighter to use and easy to mail so no need for a cut away case. Fun if you want to bring so folks can see how stuff works, though. Best for a steel plate that can rest on the ground. A table will have too much give (IMG:style_emoticons/default/wink.gif) At Seattle clinic I bought a 12x12x1/4" plate for this. Never have seen it since. Never shipped back. Ill PM you the particulars. I am planning to be an observer. Although I have a really nice box, and I won't be doing any banging (IMG:style_emoticons/default/sheeplove.gif) I would love to be a observer as well. I will be an observer. Always looking to learn. A vice on a table would be great! In. Observer and a box. So I will make a donation. Nice...I will contact you on my next Temecula visit. I will also be there as an observer. Let me know if I can help in any way. I took the side cover off my transmission tonight to include photos. I don't know what to look for when examining. Input is appreciated.